We’ve expanded our Recreation & Sports category to include (16) new sports! If you’re like most people, this month you’ve committed yourself to losing more weight or becoming more physically active… I just got back from the gym and geez, the parking lot was packed! Hopefully one of the 16 new sports categories will either be of interest to you or if you’re an expert in one of the areas, we welcome your article submissions. Archery – Like bow & arrows? Boating – Barefoot and fancy free on the water? Bodybuilding – Lean & symmetrical? Bowling – Show me a strike or pickup the spare? Cheerleading – Give me an E, Z, I, N, E! Climbing – On belay or are you the belayer? Equestrian – Do the clothes make the rider? Hunting – Like wearing orange? Got extra shells? Mountain-Biking – Bring extra tubes along? Racquetball – Go for the passing shot? Scuba-Diving – Bring your ‘C’ Card? Skateboarding – Any new tricks to share? Snowboarding – Got your avalanche beacon? Surfing – The waves, not the Internet! Track-and-Field – Set any new records lately? Wrestling – Ready for the weigh in? Wow, very cool indeed. I like your new categories and have a few of my favorite sports listed and would love to post a couple of articles in each. 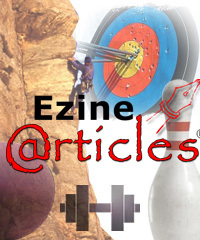 I am so happy to be part of the EzineArticles.com community and enjoy whatever comes next, It is totally exciting. Great to see. What about skydiving? Great list, but you’re missing my two favorites, hiking and motorcycling. Yes, interesting I have posted some information in the Automotive/Motorcycling Section as far as Motorcycle racing which could eaily fit better into a Motorcycle Racing category. In fact I bet there are 10-15 such articles ready from just me to transfer over if that category was made. As far as hiking, boy you know I totally agree with you there. I bet that category would be as popular as Running/Jogging or Soccer? Interesting comments Neill Squared? Neill2? If tennis can’t net it to the top 16, life is simply not worth living. A snub to all tennis crazies and lovers of the Sport of Kings. I’ll be sure to pass on your comments (and photo) at my next “Dinner with Andre” where you never have to retrieve the check!